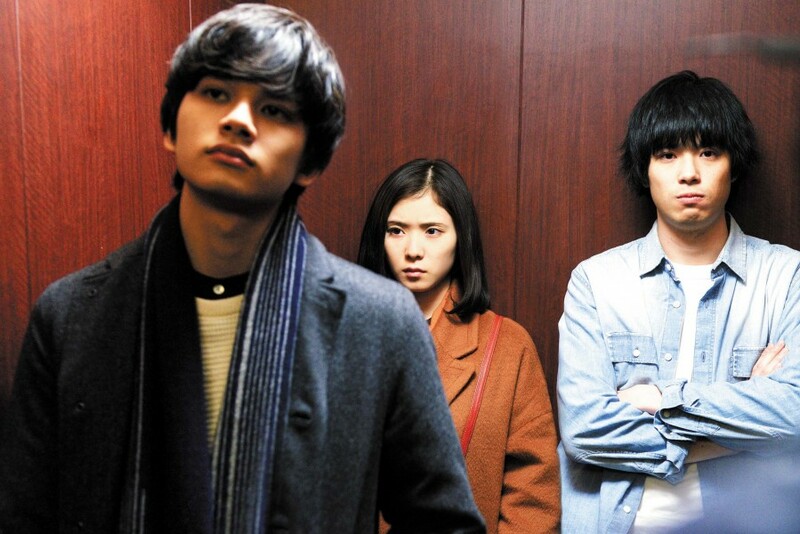 “Tremble All You Want” (勝手にふるえてろ) is one of the more refreshing films on the triumphs and travails of young adulthood to come out of Japan in recent years. An adaptation of popular female author Risa Wataya’s novel by the same name, its motley crew of characters assemble in a story that ebbs and flows as wildly as the main protagonist Yoshika’s thoughts. One minute she is running through an imagined scenario where she pretends to have the confidence to confide in her colleagues and acquaintances. In another, Yoshika endures a very real, humiliating encounter with a high school crush turned decade-long crutch, thanks to her inability to picture a life without him. Then there’s the excessively meddling co-worker (Daichi Watanabe) who, undaunted by Yoshika’s increased annoyance at his persistent attempts at affection, dials his wooing up a notch with each encounter, to the point that she is confronted with a choice: deal with the past, give in to her colleague’s advances, or do something completely different? The film wouldn’t be one-tenth of what it is without the performance of lead actress Mayu Matsuoka, her tour de force of a role resulting in her sashaying, sulking, sobbing and even singing on screen – pulling those moments into musical territory. Whether she is sinking her teeth into some breakneck speed monologues or awkwardly navigating through social situations, Matsuoka tears into her character of Yoshika with fearless – at times, reckless – abandon, her gulf between confidence and fear all too achingly real for those who have also lived through the transition from a structured high school schedule to an uncertain meandering reality of the entry-level working world. You as the viewer may not agree with all of Yoshika’s choices, but you can definitely relate to her journey.